Alright girlies. Page 99. Everyone get ready for christening our new thread. He could make me do whatever he wanted by looking at me like this..
Fizzles wrote: If I see the E + J kissing scene then I can go on back to my happy place of De Nile and pretend the other does not exist. Hee hee hee. I think you meant E + B.
E + J happens in Brokeback Dawn. Thanks Jen. I went back and edited! I would actually be less bothered by a E + J kiss than I am by a B + J kiss! Happy Halloween Everyone! I hope those of you with little kids are having fun trick or treating. Do those of you outside the US celebrate Halloween? Plus we go off Daylight Saving Time. Woohoo! An extra hour sleep. Marielle-Welcome to the Halfway House. This is my welcome gift to you! 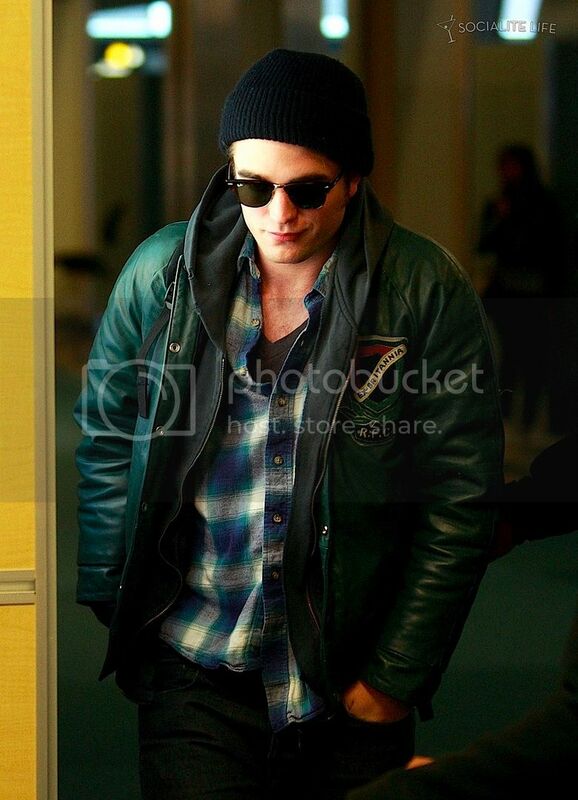 BTW, all of our names are on the page 1.
older_twilight_fan wrote: Here's Rob--arriving in some airport today, I think. Poor thing, he already looks tired and the NM media/marketing/publicity blitz is just beginning. Obviously Kristen wasn't there this morning to help him properly button his buttons It's so nice to see Rob all messy and unbuttoned again. Tracy-I love his smirk in this picture. Do you think he is not buttoning his shirt right on purpose? That would be funny if that was his intention. I've seen a New Moon trailer twice on t.v. today, so you will see one sooner or later. Jake/Bella Kiss-I don't acutally think they are really going to kiss. I think that it's going to be just like the book. I think CW is messing with us and I'm not going to worry about. CW knows what the fans want and that is to stay true to the book. I hope I'm not wrong, but if I am, then shame on him! 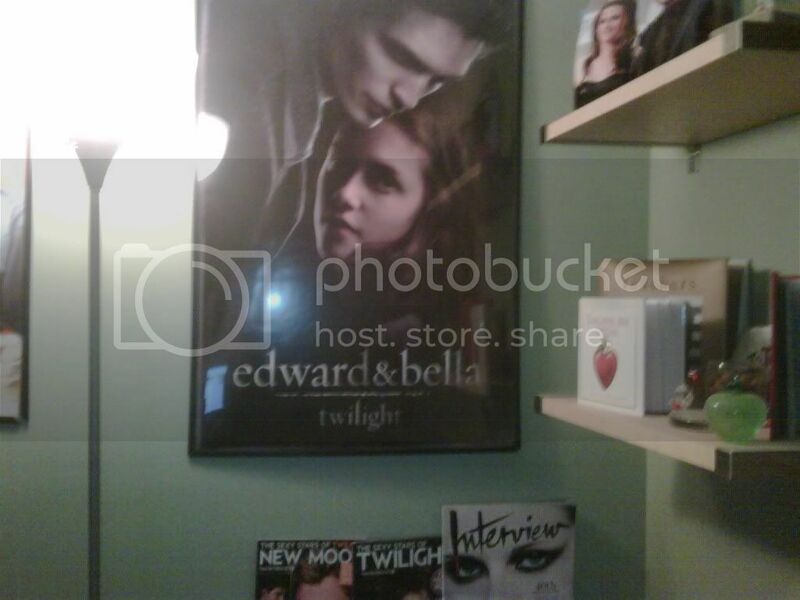 twilightsagaaddict wrote: For all that is holy! 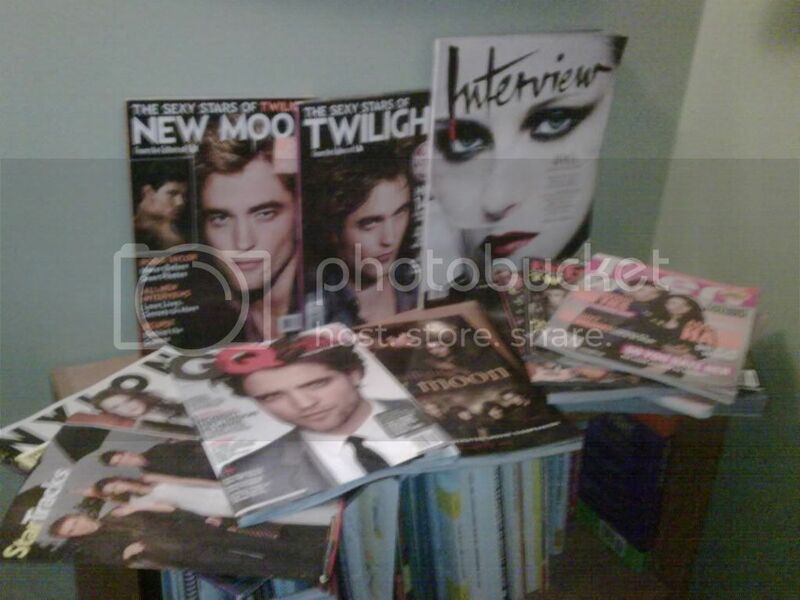 I can see the headlines now..."the members of Rob's Halfway House were found drooling over their copies of VF today. It is also thought that many of them lost their RonGinity-if they hadn't done so already- to any one of those hottttt pictures of Rob!" Those are truly unbelievable! Ulalume-Glad I tapped it so I could just fast forward to the good stuff. I liked the new clip. It really showed how uncomfortable everyone is. Bella doesn't really want to be there, Edward is trying not to make a big deal, and Alice is her excited self. I thought the acting was spot-on. missp-Interesting question. I'm going to have to think about that one. Maybe a vampire wouldn't be able to bite through the skin of a werewolf. Jade-Why did you remove your "KStew Girl List" sticky? Or did you not ever have that on your siggy? I know that was random. And that video from Brazil made me sooooo mad. How scary for Kristen and Taylor. Shame on whoever dropped the security ball on that one. New Thread-IMO, I would like to keep it Rob's Halfway House. That's my 2 cents. Diane-Hope your grandson is feeling better. Thanks for the "treats." Laura-The Rob cross stitch. Hilarious!! Gii-Dang you!!!!! I got tricked. I forgive you though. Sorry this was so long and if I didn't comment on something you said. Have a good one! Wow with all these great pics are driving me CRAZY especially the ones I can't have@!!! Thanks for the good will for Zack, so far Freddy hasn't showed signs of it Zack is getting better and mommy is slower to get on her feet. Gii did you get my email response hope I made some sort of sense. I am doing quite bad now and just want to know if I came across clearly. Also that spot when I full screen it when the video is playing it looks to me like a bruise I don't know I look at too many pictures!! I do say by Robs and kristen's face going on the plane from Vancouver to LA both looked Very unhappy, Rob was fine when he got off but he didn't seem fine going . I have seen his face so many times I can tell if its a fake smile or not. 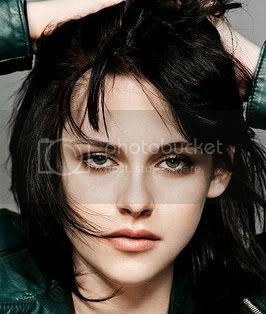 A manip forget about it. Jen I was wondering what Laura meant by that, but had to go to the door. but I just was thinking who is that? Is the VF mag out yet ? is anyone one looking for a NM guide? And NZ doesn't really celebrate Halloween. Not many people bother. JulieM~ You have it!!!! GAH!!!!! I am sooooooooooooooooooooo jealous. Here I was all hopeful that I could go and get it tomorrow. But, apparently I have to wait until Tuesday. Damn it!!! Gii~ Bad Gii!!! Bad Bad Bad. That was sooooooooooooooooooo not funny.... almost as not funny as Robsessed putting those on for my wakeup call this morning. GRRRRRRRRRRRRRRRRRRRRRRRR!!!!!!!!!!!!! Laura~ HAHAHAHAHAHAHAHA!!! So glad you enjoyed my hubs little quips. He does get such a kick out of us here. Marielle~ No worries, darlin. Due to time constraints, I didn't get to welcome you appropriately, however. Here at the Halfway House, we have all the amenities every RobCrack Addict needs. Sandy, I'm sure, will introduce you to the PervCouch and the PervSwing. I will introduce you to The CornerTM The CornerTM is where we end up when the RobCrack gets to be too overwhelming for us and we need some time to recollect ourselves. Welcome to the party. You are just in time. BTW, while the hubs and I took the boys trick or treating tonight, I saw the most adorable costumes EVER. As we do every year, we went to my parents' house and went around their neighborhood. While walking the block, we ran into oine of the families who lives down the street. Mom, Dad and 9 year old twins(fraternal). Mom and Dad were Carlisle and Esme. The twins were Edward and Bella. I seriously squeed!!! I was the most adorable thing and I was downright jealous. EDIT: PS Emailing bac to get us a brand new shiny thread. I'm thinking lets not change the name. I think that's a special summer thing. Diane - I sure did get your message. I have TONS of pics on my laptop that died..so as soon as I buy the hard drive enclosure kit, I am going to take my HD from my broke laptop to see if I can recover anything. I want to make videos and be cool too! I wish I had time to really get in to that program and stuff..I really envy the people who make their own trailers and stuff..really talented stuff there too. I have never worked with adding music to my "movies" before so I will def need to play around with that.